The ‘Gracilis’ shown here is a 5-year old plant, approximately 20ft. tall. 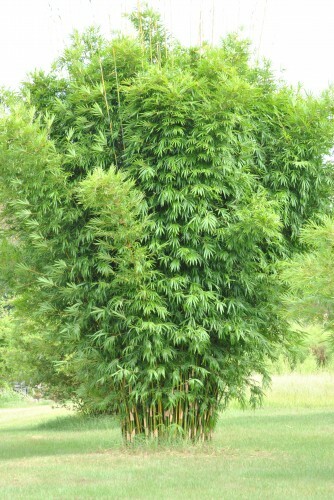 On a mature plant, the lower 1/3 will be branchless, showing off the beautiful canes. The tropical foliage and erect growth habit shown here is typical of the textilis varieties.